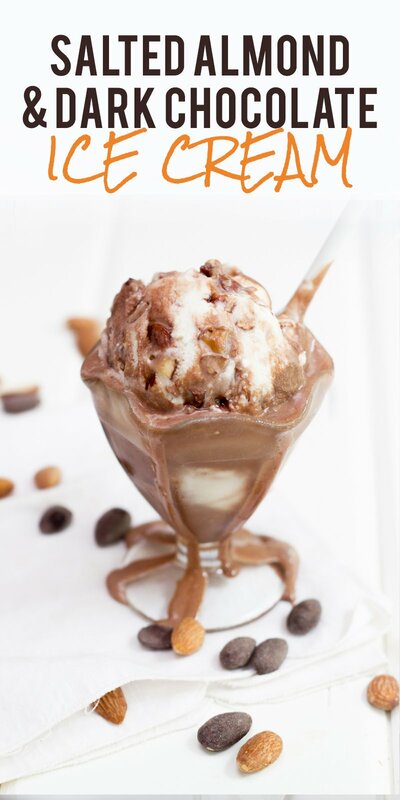 This decadent Salted Almond and Dark Chocolate Ice Cream is the perfect mix of creamy, rich, and totally satisfying thanks to the crunch of Blue Diamond Almonds! Now that Memorial Day is over and done with (I hope you had an excellent holiday weekend! ), we can officially whip out the ice cream recipes, right? I love, love, love making homemade ice cream! There are very few unitaskers that I keep in my kitchen, but my single purpose ice cream maker will always have a spot in my cabinet. Making ice cream at home is tons of fun, super tasty, and so much simpler than you might think. I’ve tried a lot of different methods for making ice cream at home, and they all end up being okay, but they tend to have varying degrees of creaminess and scoopability. The standard method for making homemade ice cream involves making an egg custard over the stove—there is nothing wrong with that, but whenever I use the custard method, my ice cream always ends up rock hard the next day (and sometimes, even icy). Plus, it can be really tricky working with a custard—just a couple degrees one way or the other, and the custard is ruined. 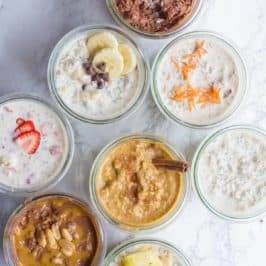 After lots of experimenting, I’ve landed on always (literally, every time I make ice cream now, of any flavor) using Jeni Britton Bauer (of Jeni’s Splendid Ice Creams fame) method for making home ice cream. 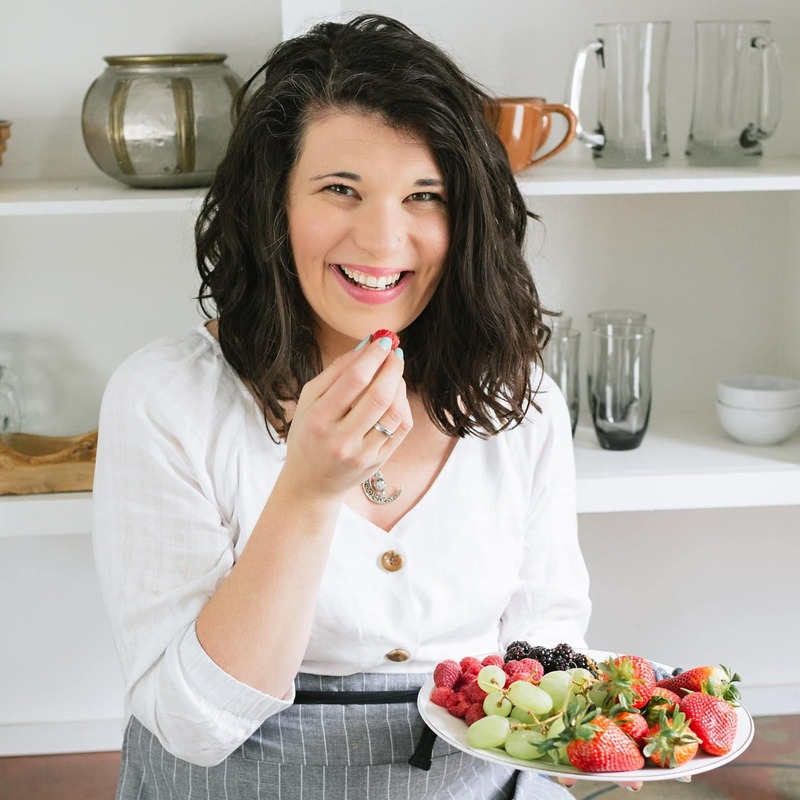 In her ice cream cookbook, she recommends using a cornstarch slurry plus cream cheese to make her ice cream super velvety and totally scoopable. It works wonderfully! And it’s really forgiving. You aren’t working with eggs at all, so it isn’t finicky like the standard custard method. And I love that it’s a method that you can apply to any flavor. I used it on every flavor from my Strawberry and Feta Ice Cream to my Classic Vanilla Ice Cream. 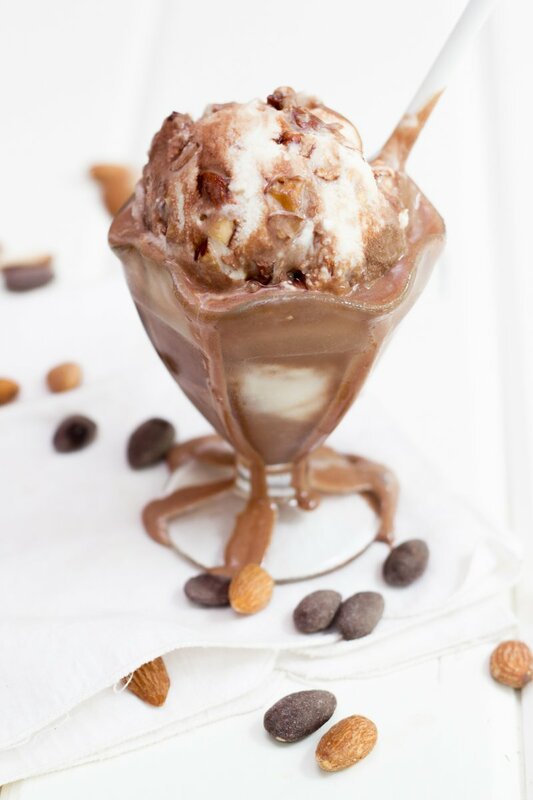 And it’s working just as wonderfully with this Salted Almond and Dark Chocolate ice cream featuring almonds from my friends at Blue Diamond Almonds! This ice cream is a two part swirl—the base is an almond-flavored ice cream, and then cocoa is stirred into half the base to create a beautiful, and tasty swirl. 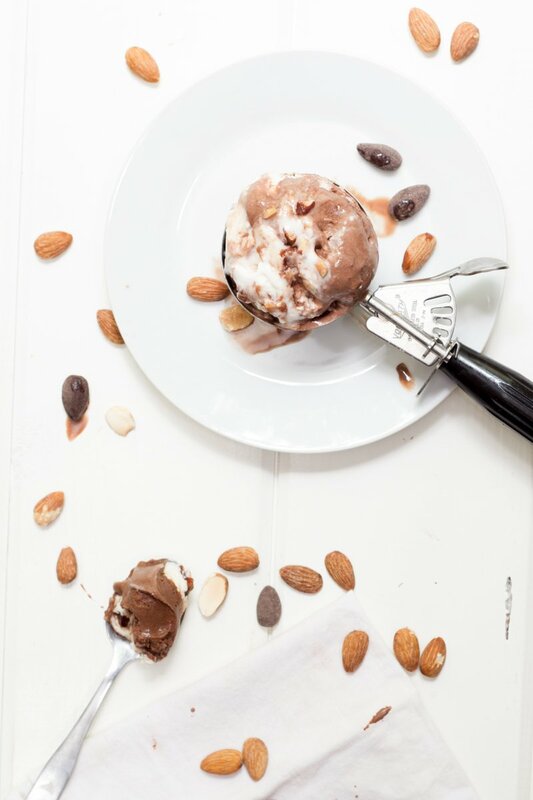 When the ice cream is spinning in the canister, in goes chopped Blue Diamond Sea Salt Almonds and Dark Chocolate Almonds to add a ton of crunch and flavor. 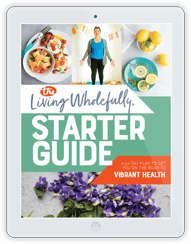 Both almond flavors are super delicious for snacking or for cooking. 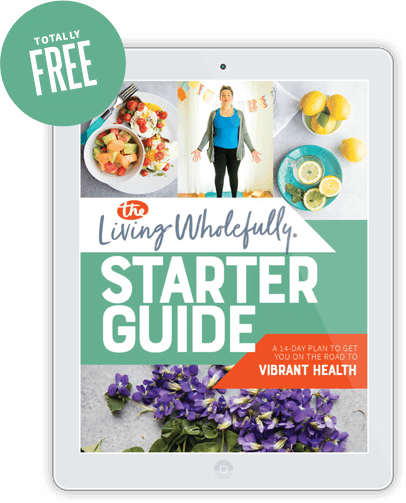 As evidenced by this recipe, I’m a big fan of mixing together these two flavors to have a sweet snack that isn’t overwhelmingly sugary, but still gives you a nice boost of energy. A handful of these two flavors mixed is perfect for fighting afternoon crashes. Or, you could just eat a bowl of ice cream. That works, too. Enjoy! In a small bowl, whisk together 1/4 cup of the milk with the cornstarch until smooth, set aside. Combine the remaining milk, half and half, sugar, and honey in a medium saucepan over medium-low heat. Heat until mixture is hot and frothy, about five minutes, do not boil. Once hot, whisk in the cornstarch slurry, and continue to stir until the mixture is noticeably thickened (think: the thickness of melted ice cream). Remove mixture from heat, stir in the cream cheese, salt, and almond extract, and continue stirring until the cream cheese is dissolved. 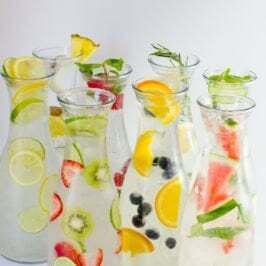 Divide the mixture in half (about two cups worth in each half) and place one half in a heat-proof container and place in the fridge to chill. Add the cocoa powder to the other half, and whisk until the cocoa is completely dissolved. 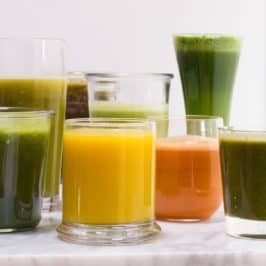 Transfer to another heat-proof container and place in fridge to chill until cold, at least four hours, but preferably overnight. 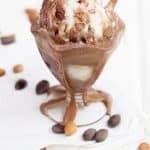 When ready to make ice cream, turn on the ice cream maker, and pour in the almond ice cream, and add the dark chocolate almond chunks, spin until just the consistency of slightly melted soft serve—about 10 minutes. 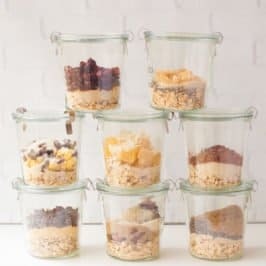 Remove from canister and layer in a freezer-proof container. Add in the chocolate ice cream and the sea salt almonds, and spin for an additional 10-15 minutes, or until just solid. Layer on top of the almond ice cream in the container (do not swirl—the ice cream will swirl just fine when you scoop). Freeze for 3-4 hours, or until the ice cream is solid. Serve and enjoy! It is tempting to swirl together the two ice creams, but the scooping will do all the swirling you need! Just layer the two flavors together in the container, and let your ice cream scoop do the rest of the work. 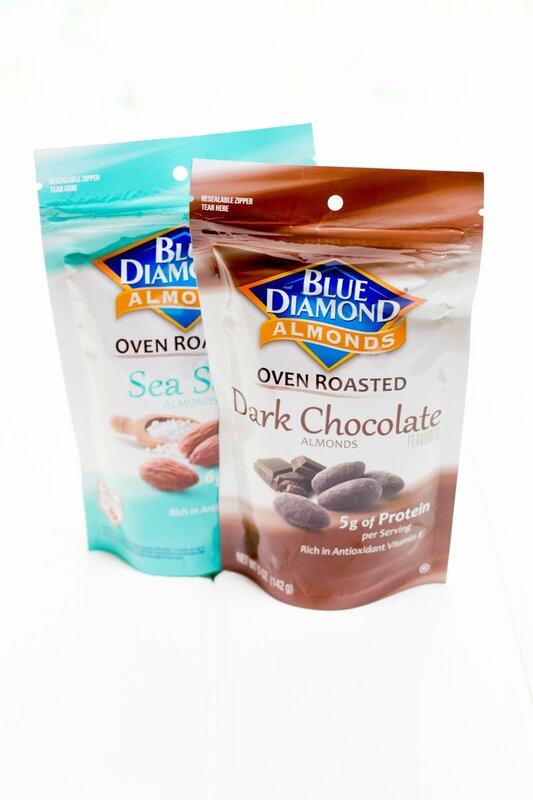 Blue Diamond Natural Oven Roasted Almonds are an extraordinary new line of flavored almonds that makes snacking tastier and easier than ever for today’s weight and health conscious lifestyles! Thanks to Blue Diamond Almonds for making this post possible. All content and opinions are my own. Adding cream cheese to the ice cream sounds amazing!!!! I can’t eat almonds for some strange reason, but I think I’ll try this with peanuts, or maybe cashews?! I think both would work well! :) Walnuts would also be delicious. This looks AMAZING. I think my fiance would kill me if I bought another kitchen appliance, though. Even though he would appreciate the ice cream. Sigh. All I can say is drool worthy. This recipe is amazing. I will be trying this over the weekend for sure! 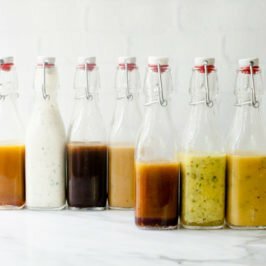 Would you be interested in becoming a recipe partner with Chicory? Yep…my mouth is watering! I love the shot with the icecream in the scoop!!! Definitely pinning.